The secretary general of the World Tourism Organization (UNWTO), Taleb Rifai, yesterday paid a courtesy call to President Kagame at Village Urugwiro, where they discussed issues related to the promotion of tourism. The main purpose of the meeting was to submit to the President the open letter which is part of an international campaign to raise awareness about the importance of travel and tourism in the world,” Rifai explained. TNT: What brings you to Rwanda and what has been your general impression about the country? TR: I did not come here by accident; of course I came here by the kind invitation to the gorilla naming event. But my main purpose of the visit is to send the message to the world on how prepared, how ready and determined Rwanda is when it comes to travel and tourism. We have a feeling, and this feeling is substantiated by the performance, by the calibre of the people that are running this tourism sector in Rwanda and by the impressions of the international community, that Rwanda is a star in the making in the field of travel and tourism. Rwanda is doing all the right things in the right direction and it has all the assets to enable it to do so. So my visit here is of important political and symbolic significance; it is telling the world that this is an important tourism destination and of course on top of that I had the pleasure to attend the gorilla naming ceremony. TNT: Besides your work responsibilities, what has been your personal experience during your stay in Rwanda? TR: It can be summarised in one thing - the next possible opportunity, I am going to bring my wife and children to Rwanda - if I get a chance of a vacation I will spend it here in Rwanda. That can sum up all my feeling about this country. I can go to any place I want in the world but I want to come to Rwanda. 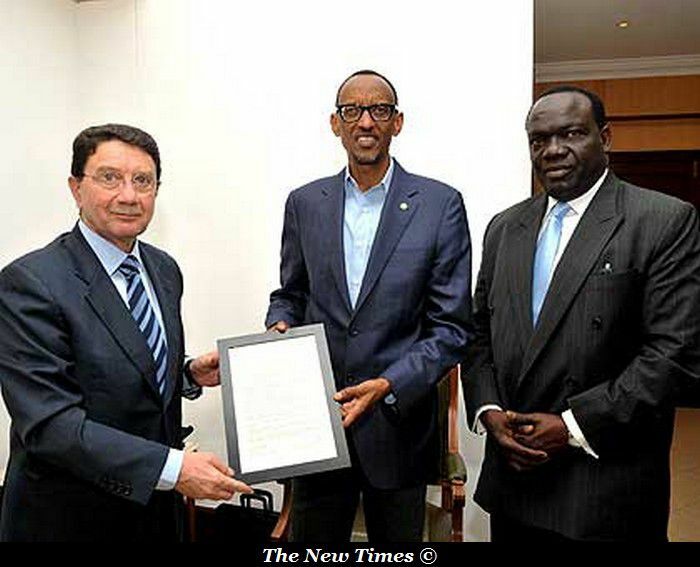 TNT: Back to your work, what has been UNWTO's role in making Rwanda what it is today as you described it earlier? TR: We started our relations with Rwanda more than 10 years ago. We have helped in developing the master plan for tourism in 2007 and 2008, and we have continued to monitor its potential implementation.